April 2015, I closed on my first home. For the most part, I feel like I have been here forever. This little 2,000 square foot space truly feels like home to me now. I remember thinking my parents house would always be home to me. In my head, I knew that thought would shift at some point but didn’t know when. I’m not sure if it is because this is my home, I own the mortgage, or if it’s a season of life thing, but this little house feels like home. No other place do I feel more protected or at peace than inside those walls. I decided to build and not buy a preexisting house and I would not change that path for myself. I built with Arbor Homes and had a pretty great experience. No big issues and has been the perfect little spot for me. Looking back over the last four years, you realize how far you have come and how spaces slowly transform into what you are living in today, sometimes without you even noticing. We live in an immediate world where you can Amazon Prime anything, but reality is that a space transformation takes time. You can make this big steps like transforming a once blank wall to a statement worthy one but that is still only a step in the process in all reality. Moving day you just want it all done and livable that day, which we all know is not possible. I think as we step back the process in making our house our home each and every day is the best part of the journey. I still have a list of projects a mile long that I do wish were all done, but to let the details transform your space over time allows your space to grow with you each step of the way. I wanted to take a look back on some spaces and how they have been transformed over the past four years from very bare to filled with life today. Adding the soft details like Runners near doors adds that detailing, helps stop the dirt and has more visual appeal. Just this spring, I added a new layered mat style for the front door that helps add the extra character beyond a mat standing solo. This change makes me chuckle every time. I invested in a large mirror and I will have to tell you the headache it was (that resulted in the return of the original mirror and finding this one). The mirror and the swap out to the acrylic table really opened up the space, tall greenery was icing on the cake. It was the month of May in the racing world (epic month if you are familiar but also means epic hours spent at a race track working for those on a race team) and I came home one day with a gallon of paint and painted this wall in the pitch black. You know you have a need for a creative outlet when after days of 12+ hour days at a race track and you think painting a wall is a good activity for the night. I say it was worth it though. The black wall here changed the way this nook is viewed. Those frames pop off the wall in a way that wows you. 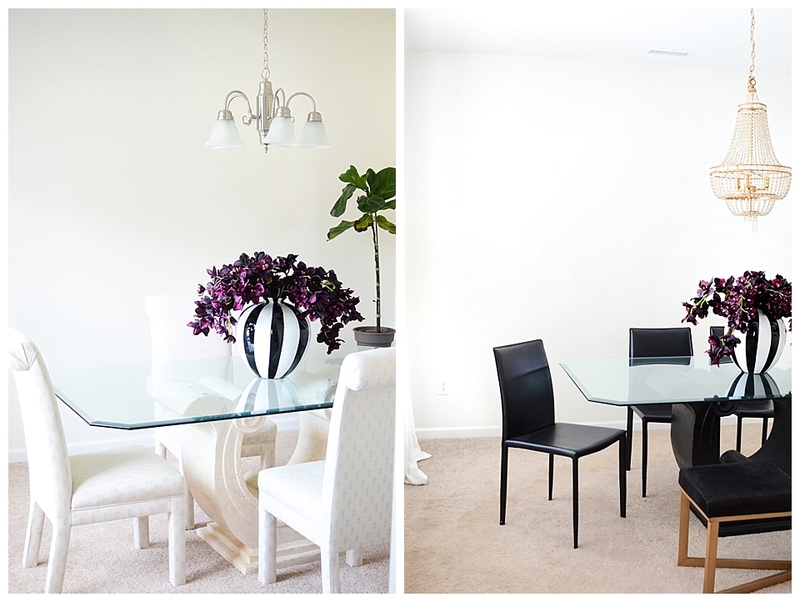 This table made the move with me from Tampa, but the stone/ off white look was not my style. Rather than rid of it, I made it work for my space and that simple spray paint job made all of the difference. Moral of the story is that not everything needs to be shipped to the curb, but there is so much potential to your current pieces, you just have to find it! The right lighting can make all of the difference. This kitchen space (and a few other spaces to be honest) are a testament to that. Adding the modern lighting and the few counter details that includes greenery makes this kitchen feel inviting and lived in. I think this will forever be one of my favorite views. I wanted to install this black statement wall since the day I signed my papers to build. It took about two years to get it into action, but oh my was it worth the wait! In addition to repainting the large artwork, this is truly one of my favorite views in the house. The large fan from Lowes was an early pick up, in fact I don’t know that I have a photo of this space without it. The funny part about that fan is the guys at the hardware store thought I was a fool for purchasing that light fixture, but with a standard fan rather than this nine panel fan, the space wouldn’t be nearly as epic. The upstairs loft took on a whole new personality. It was the left over spot with some artwork made by a friend to help make it a little more modern. After selling the couch and going for more of the cozy reading space, things took on a new personality and is much more welcoming and a better fit for the space entirely! The Spare Bedroom took on the role of my Florida Bedroom based on what I have. It worked, but wanted a more modern and mature look. This space still needs artwork and a few other details but it has make good moves in these four years! 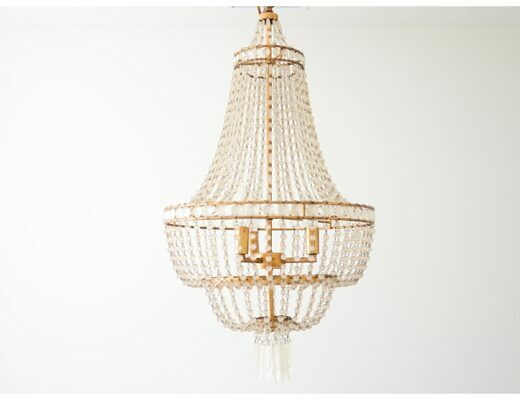 The day I closed on my house I walked in with a gallon of paint to change this space and this fabulous chandelier. The rest was a step by step process. Investing in a statement headboard and flipping out the hardware on this IKEA dresser matures the space and brings it all to a higher end look. This was a vision from day one. Closets are spaces to be maximized. Wire hangers are not going to make the cut here. Yes, having someone come in and flip your space is great, but the cost is high. 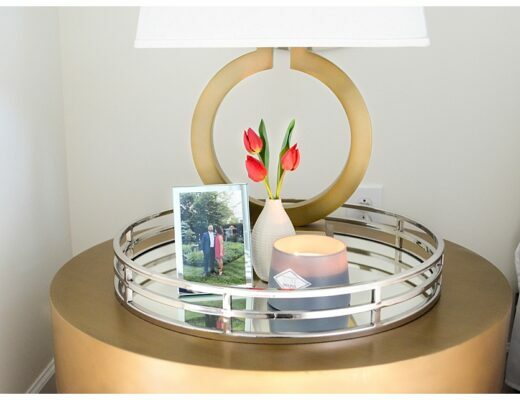 A simple IKEA trick does the job and allows for a look that I loved for the space. It’s been a really great home for me and something I am immensely proud of. My little home and a space I have grown to love! And if you look at the transformations of each room, these 6 Essentials apply very well. If you are looking to transform your space, this would be a great starting place!